For 2019, the Honda Civic sedan continues to raise the benchmark for its segment. Car shoppers who are looking for a wonderfully designed small four-door that boasts plenty of interior space for its size, great resale value, mechanical longevity, and a variety of trims can’t go wrong with the Civic. The available trim levels are the LX, Sport, EX, EX-L, and Touring[LM1] . To the delight of driving purists, the first two are still available with a manual transmission. The changes for the 2019 model year are not extensive, but there are some minor styling upgrades to the fascia that give the car a sleeker look. On the inside, the ‘19 Civic sedan receives control knobs for the audio and HVAC systems that are more user-friendly. 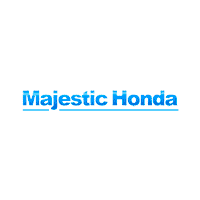 The Honda Sensing system of active safety technology has been made standard on all trims. The EX-L and top-level Touring trims get leather seating surfaces and the HomeLink remote system. The Touring is loaded with an upgraded 450-watt premium audio system, an integrated navigation system with voice recognition and Honda HD Digital Traffic, automatic on/off LED headlights, and heated seats for both rows. Honda’s smallest sedan comes in either a six-speed manual (available on the two lowest trims) or continuously variable automatic transmission (CVT). The LX and Sport trims come with a 158 horsepower 2.0-liter four-cylinder naturally aspirated engine, while the EX, EX-L, and Touring get a turbocharged 1.5-liter engine that makes 174 hp and offers the perfect blend of enjoyment and fuel efficiency. The gear-and-pulley system for the CVT on the Honda automatic transmission simulates a continually shifting single gear, a setup that provides top power. This technology is where Honda truly separates itself, as most other compact sedans with a CVT lack that consistent peak shifting performance. Those who are looking for considerably more power should investigate the Si or Type-R, which come under the model name Civic but are distinct enough to be considered separate models. These souped-up Civics are made only with a manual transmission to optimize the fun of driving them. The Honda Sensing comes standard on all trim levels to provide a full package of driver assist features such as lane-keeping assist, adaptive cruise control, road departure mitigation, forward-collision warning, and emergency braking. Other[LM2] standard safety features worthy of mention are airbags, stability control, and a rearview camera. The NHSTA gave the ‘19 Civic sedan its highest rating of five stars. A 1.5 amp USB, Apple CarPlay, and Android Auto come standard on all trims but the base to allow seamless smartphone integration with the infotainment system.